Sometimes we can overlook the simple things. Like cables. The things that get the sounds from one component to another. Think about how we can get so focused on how an expensive effect sounds and how we want transparency, but we might grab the cheapest cable off the shelf. We can all look and find cost-effective items that are high quality, but I’m guessing I’m not the only one that was grabbing the absolute cheapest cables when I started playing. And when I’d have issues with my signal that could finally be tracked down to the cable, I could see why it was actually a big deal. There for a while, I was just making my own cables. If you’ve also done that, you know it’s not a big deal, but still requires the need to be thorough and a general attention to detail. 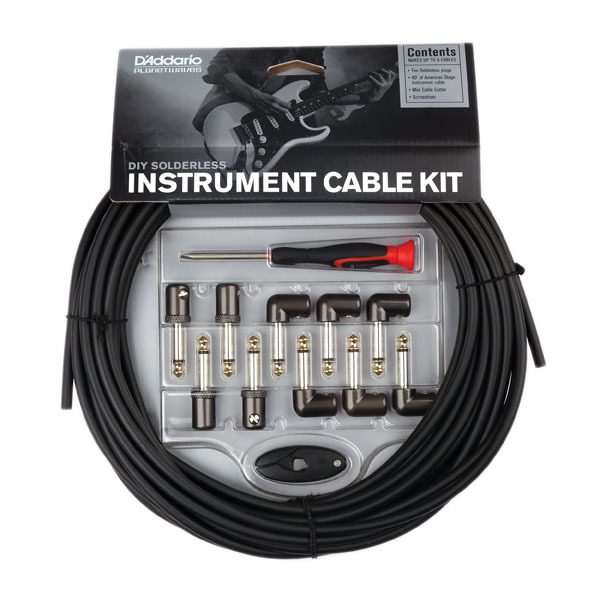 A few years ago, I was turned on to the Planet Waves DIY Solderless Cable Kit. It comes with 40′ or 10′ of cable (depending on the kit you want), a little cable cutter, and an assortment of 1/4″ plugs that simply slide on and use a solderless connection. The best part is that you make the cables for whatever length you need. 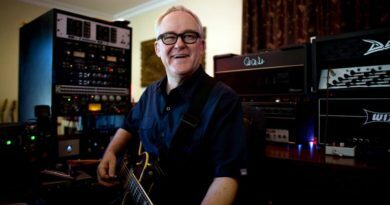 How many times have you been connecting your rack or your pedal board and a 1′ cable might be too long? You’re at a gig and don’t have all the components to make a new cable… but if you have enough space in your gig bag for the cutter and a small screwdriver, you can trim the cable to the perfect length and reduce the clutter. 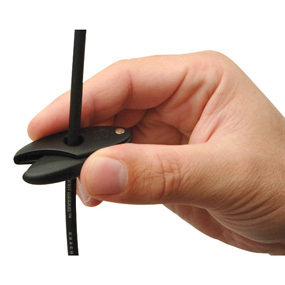 Planet Waves also sells bulk cable and 1/4″ plugs separately, so you can expand as needed. One of the coolest features I’ve found are the plugs with the circuit breaker switch built in…so you can do things like essentially turn off the signal when changing instruments to avoid any ‘pop’ coming out of your amp. I also have some of the American Stage series cable from Planet Waves, which has a 28pF/ft capacitance and 22AWG oxygen-free copper conductor. It’s pretty much the top of the line of what Planet Waves offers and I found it for a steal on Musicians Friend a while back. It doesn’t have the solderless connections or the circuit breaker plugs, but they are darned good cables.